October always brings it's opportunities for pink marketing. 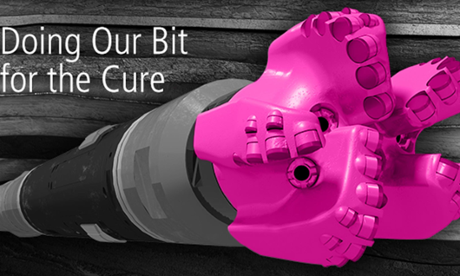 I have seen a number of examples (eg, pink tyre caps) but surely the most bizarre are the pink drills manufactures by Baker Hughes: a company involved with drilling for oil. They are involved with the controversial buisness of fracking. They have painted the drills pink to "serve as a reminder of the importance of supporting research, treatment, screening and education to help find the cures for this disease which claims a life every 60 seconds. I don't understand this at all. The tips of the drills are pink. Who sees them when they are in the ground? How will pink ends to the drills educate people about breast cancer. how will it find a cure? The $100 000 donation to Susan G Kommen is generous but I fail to understand the purpose of painting drills pink. A blog written in the money section of the Guardian has called Hughes Baker and others like them a "philanthropic hypocrites". For further comment, check out last Sunday's City Press. Basil Strathoulis, an Orthopaedic surgeon and photographer in Durban sent me a picture advertising "Set the Tatas free day." "Free the tatas" is apparently an NPO. What are they about? On their Facebook page they claim to be"celebrating a woman's body and all it's beauty regardless of ethnicity, religion or creed". There is no indication of anything they do other than post bizarre pictures. Why are they an NPO? There are many women who have had breast cancer and have had a mastectomy and reconstruction. If there aim is to celebrate the beauty of all women, why are they assuming that all women need to wear a bra? Are they excluding those who don't? The "bald" fact is that the editorial and the front page and the article are "balderdash". Worse, it is ill-judged, ill-considered, insulting, inaccurate and insensitive. Cancer has a stigma, which cannot be removed by "shock" tactics, but by proper non-sensational education. Its not true that celebrities have an unambiguous influence or effect on raising awareness - they have their stories, but they are not the last word. 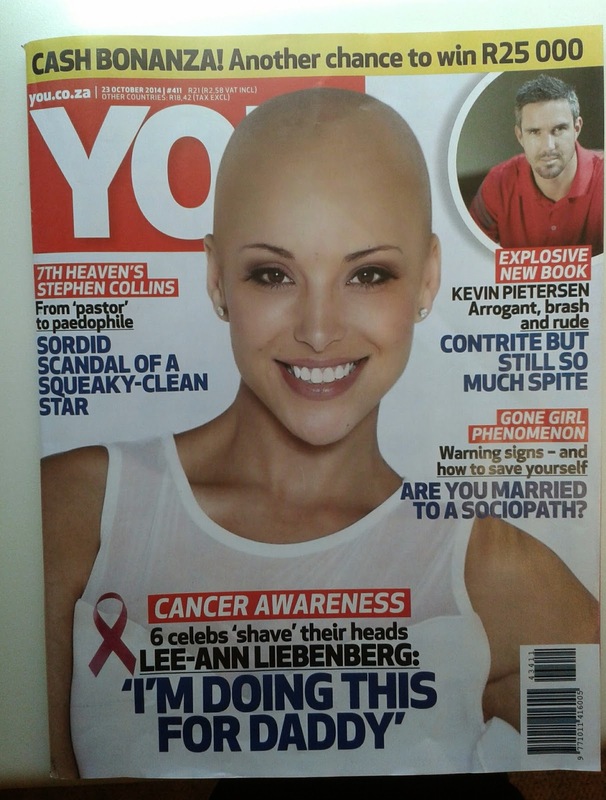 Why is the only actual cancer survivor in the article portrayed with her natural head of hair in full focus, and not with a "photo-shopped" image, didn't the editors see an irony and honesty in that. Why try to glamourise a disease that is not pretty? The massive amount of hard work by support groups, professionals and survivors themselves is not boring, rather it is tired and lazy journalism that looks for cheap ways to find headlines, at the cost of truth. I am disgusted. I can give a hundred better headlines and story ideas that are not the demeaning approach this distasteful issue has come up with. Apparently, You magazine have issued an apology. I haven't heard any comment from CANSA who supported the story. Please share your stories about some of the more bizarre campaigns being run this October. Thanks you, a great blog. I personally found the http://checkyourselfie.co.za/ Cancer Campaign to be a little weird. It was good in getting the message out there for self examination, but the request to take a photo of your bra lying on the floor and tweeting it into cyberspace, I found pointless and actually excluding of woman who don't wear bra's, not to mention the woman who don't have breasts. I can't agree more. The focus should be on the reality of the disease which is not "pretty" and affects the cancer survivor for the rest of her life. Never a day goes by without the reminder of being a survivor. Whether it is feeling the pain, not trying to look at the aftermath of my body or simply meeting other survivors and giving them courage to enjoy their life.